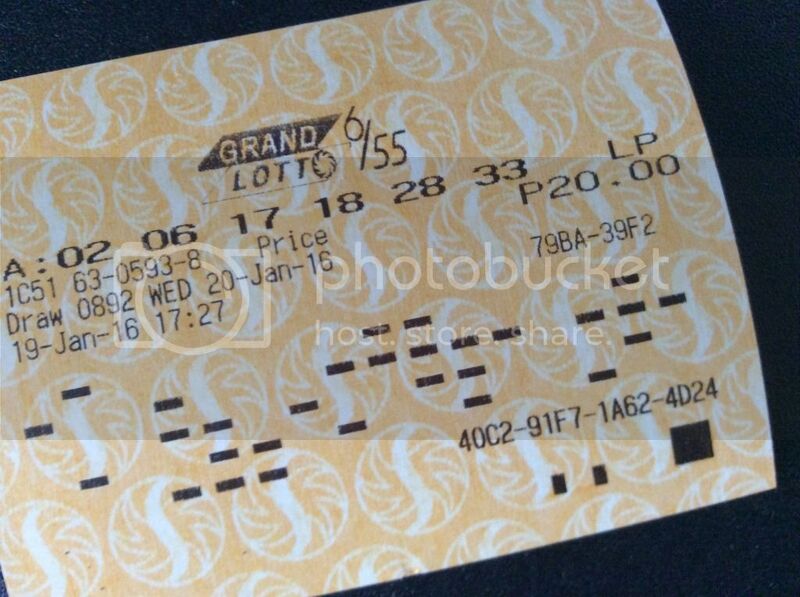 This time I’ll go for the big jackpot with the Grand Lotto 6/55 scheduled for draw tomorrow January 20, 2016 with estimated jackpot prize of 130 Million Pesos. This was my first bet I made in the Philippine Lotto Games since year 2016 started. i love lotto , lucky pick lang ako palagi walang maisip na combination. sana palarin……. chaos. Hello po…balato nalang sa akin pag nanalo kayo hihihihi 3d lang kasi tinatayaan ko 🙂 gudluck! Everyone deserves to win and everyone should buy a ticket since you are helping as well the government in that aspect. A winner never quits a quitter never wins. Walang masama na mag try. Just play responsibly.